Swedish Hasbeens, the world’s leading brand for premium wooden sandals will open up a new flagship store on the 15th of April in the classic fashion area “Bibliotekstan” in central Stockholm. Swedish Hasbeens’ own retail has grown during the last years and the store at Biblioteksstan ("Library Town") at Jakobsbergsgatan 6 will be their third store. The area is a well-known shopping street with many luxurious brand stores. For the fifth year in a row, the company also has a store in the arty Shoreditch area in London. 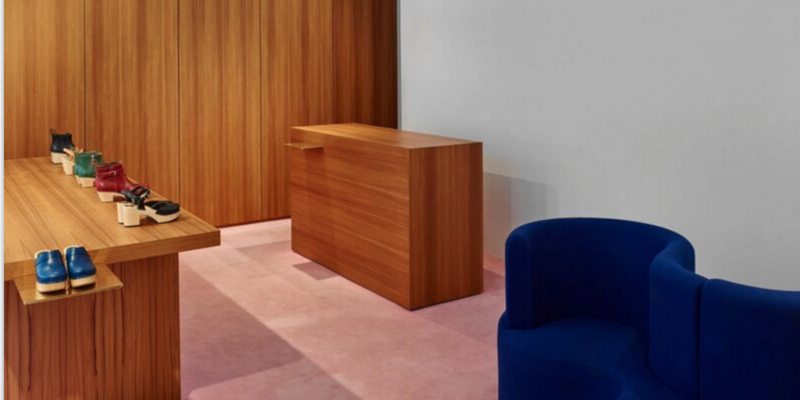 Swedish Hasbeens’ new store concept that is being rolled out in all stores has been developed by Christian Halleröd, one of Sweden’s most awarded interior designers that have helped develop store concepts for other successful Swedish brands like ACNE and Byredo. “Bibliotekstan in Stockholm is one of the most contemporary fashion districts in the world, with a great mix of the best international brands like Prada, Chanel, Gucci and creative new Swedish designers like Hope, Whyred and Rodebjer. This is the perfect location for us where we can meet our customers from all over the world and since Stockholm is one of the most influential fashion cities we have a great opportunity to share our brand with even more cool people.” says Emy Blixt, founder and designer at Swedish Hasbeens. The Swedish Hasbeens store at Nytorgsgatan 36 in the middle of the SOFO disctrict of Södermalm, identified by international press as one of the most trendy areas in the world, has been a great success with visits from for example the fashion icons Alexa Chung and Sarah Jessica Parker last summer. “We keep the store in SOFO since we love the creative and young area where we grew up as a brand. However Bibliotekstan will allow us to show our brand for people who might not have heard of us before.”, says Emy Blixt. The SS16 collection will be launching in the Jakobsbergsgatan store and shine in bright summer colors together with classic clogs and limited editions like the collaboration with the Merci Concept Store in Paris. The store will be open from the middle of April 2016 at Jakobsbergsgatan 6. https://goo.gl/maps/SaCmJnhd9oM2. 1970 in southern of Sweden. Her name was Anita and she was the hottest looking ABBA-mum. While smoking Camel she screamed at her kids until her curlers fell out and just looked fabulous in her white high-heeled clogs. One summer day in 2006 Emy Blixt found the shoes Anita wore in the basement of an old clog factory and started Swedish Hasbeens. Our ambition is to continue to release more incoherent and fun shoes and stuff inspired by Hasbeens that once ruled the planet. The Hasbeens toffels, bags and belts are based on original models from the past and are made of super quality vegetable tanned natural grain leather since it just becomes insanely beautiful when aged. Our production methods and material are kind to nature and people. Happy toffels make happy people. Bibliotekstan is an exclusive shopping district in Stockholm. The area is centered around the street Biblioteksgatan. ”Bibliotek” means library in Swedish and refers to the National Library of Sweden, located in the nearby park Humlegården. Biblioteksgatan got its name in 1885 and the area has been focusing on exclusive shopping ever since.